For more than 30 years, Steven B. Haffner’s practice has focused primarily on representing businesses, professionals, and individuals in general corporate, business, real estate, contract, golf course development, acquisition and sales, franchise, merger and acquisition, finance, employment, and liquor licensing matters. He has represented clients in both transactions and commercial litigation. 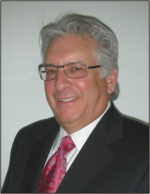 Mr. Haffner has represented several franchisors in the offering and sale of franchises in the restaurant, health care, and automotive repair industries, as well as several golf course developers and operators throughout the United States. In addition, Mr. Haffner has represented retail establishments, residential and commercial real estate developers and lenders. He has been a faculty member at the PGA education center, presenting lectures on golf course acquisition and development. Mr. Haffner obtained his bachelor’s degree in history and education from Wayne State University (1971) and was awarded his Juris Doctorate in law by the Detroit College of Law in 1975. He was admitted to the bar in Michigan in 1975 and in New York in 1980. In addition, Mr. Haffner has been admitted to practice before the United States Supreme Court, the Sixth and Second Circuit Courts of Appeal, U.S. District Courts in Michigan, New York, Illinois, Ohio, Florida, and Texas. He has been awarded the AV Martindale-Hubbell Peer Review Rating, the highest rating available for legal ability and ethical standards.